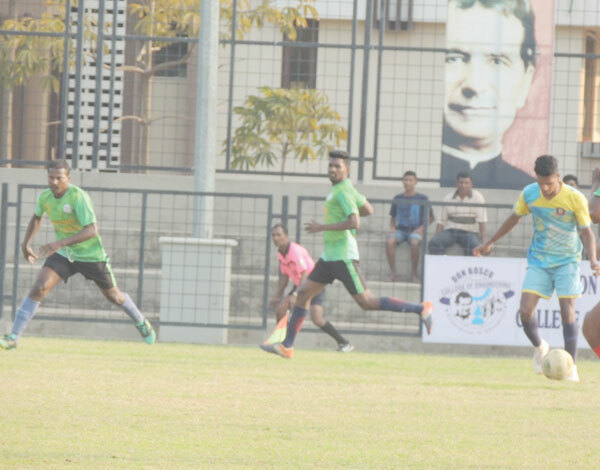 FATORDA: Dicarpale SC got the better off Betalbatim SC 6-5 via the tie-breaker to march into the semi-finals of All Goa Bro Eulalio Vas memorial inter-village football tournament organised by Don Bosco Oratory, Fatorda, at Don Bosco Oratory ground, on Tuesday. In the first ten minutes, both teams dished out attacking football on equal footing. In the second and fifth minutes Betalbatim through Dylan Rodrigues and Alaric Dunha missed chances. Dicarpale’s Joel Colaco power-packed shot hit the rival side netting in the seventh minute while Donald Rocha failed to connect the ball sent in by midfielder Abhay Shetty in the tenth minute. As the match progressed in the 20th minute, Dicarpale’s Clifton Rebello’s long ranger hit the Betalbatim cross bar and went out of play. Betalbatim took the lead through Alaric D’Cunha in the 26th minute but the joy was short lived as Dicarpale equalised through Stendly Miranda in the 57th minute. In the resultant tie-breaker, Dicarpale SC proved to be better shooters.